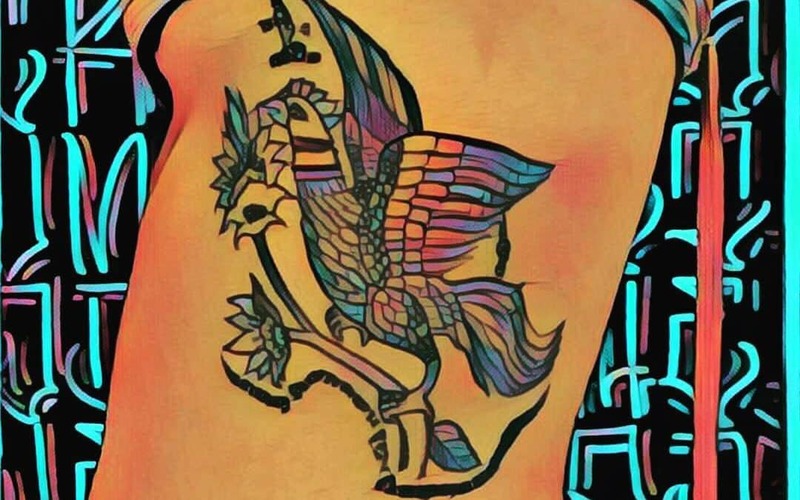 How Much Does a Tattoo Cost in Bangkok, Thailand? It’s all about the quality. Of course, it was a bit of joke, but at the heart of this phrase was the common sales pitch used by the cheap east-end London tailors – that quantity was more important than quality. Those London tailors could have charged for the skill of their suit designers or the workmanship of their seamstresses, but no, they were quite content to charge by the amount of cloth used, regardless of quality. In today’s modern tattoo world, the quality of a tattoo artist’s work is of paramount importance. It far outweighs all other considerations, such as the size of the tattoo, or the speed the tattoo artist completes his work, or indeed – the price. If you are buying a tattoo, you are purchasing a unique piece of art that is going to be part of ‘who you are’ for the rest of your life. It will not be something that you can wear on your body for a few months and then discard it for the latest fad. Remember – a tattoo is for life – and you owe it to yourself to make sure it is the best possible tattoo it can be, and that you will continue to be happy with it for many years to come. So when we discuss the price of a quality tattoo, we are primarily talking about the cost of the tattoo artist’s time to create and indelibly imprint a unique work of art on your skin. So how much is a tattoo artist’s time worth? This depends very much on the skills and experience of each individual artist. At ALL DAY Tattoo, we work hard to make sure we have the very best artists with a proven track record and a unique style. Our resident artists have traveled extensively and have a combined decades of experience including residencies in notable studios in countries such as Japan, Korea, China, Denmark and more. We have in-house specialists in: New and Old School and Japanese color pieces, blackwork, old school, script, geometric and tribal pieces, amongst others. We have a large selection of both resident and Guest Artists. For us, quality is everything – not just of the tattoo itself but of the entire experience, so we invest a lot of time and energy in bringing the best of the best into our studio. We make sure our artists are treated very well and can concentrate on what they do best – creating beautiful, one of a kind pieces of art and experience that will last a lifetime. But if you charge me by the hour – won’t your artist slow the work down to earn more money? Our artists are people of the highest artistic integrity and they have trained for many years to achieve their exceptional levels of expertise. Every tattoo, big or small is a new artistic creation, and they will strive to make best it can possibly be. The last thing in their mind is trying to milk a client by trying to drag out the time. Firstly, their only aim is to make this piece of art as good as it can possibly be. It might be on your body for life, but it’s also in their portfolio for life. For artists with a hard earned reputation, this is a very big deal as their portfolio is their biggest asset. Secondly, have you ever watched a true tattoo artist work? It is some of the most intense, focused work a person can do. There’s no second chances! They really don’t have the spare mental ability during a tattoo to think about the time. After all, every client is a potential returnee and more importantly, a satisfied client will tell their friends and pass the word around. At ALL DAY Tattoo Studio, our tattoos cost 3,000 Baht per hour and our minimum charge is 2,000 Baht. Free, no-obligation consultation with advice on the design and placement and approximate length the tattoo will take. Work done by top internationally trained artists. Artists’ time, (free of charge), for design work. Comfortable, air-conditioned, fully-equipped, state of the art studio. Top quality, US imported inks and needles which are disposed of at the end of each session. Hygienic workspace, with disposable films that are replaced after each session. Central location, close to BTS station. Online booking with fast response in English. All this, and you can be secure in the knowledge that your tattoo will be 100% safe from contamination. All we ask for in advance is a deposit, based on 20% of the estimated cost of the tattoo, with a minimum charge of 1000 Baht, and a maximum of 5000 Baht per session. This will secure your artist’s time and, where appropriate, will enable them to prepare in advance of your session, although the time for doing this is not charged. Does the size of the tattoo or the intricacy of the design, or the placement area on my body affect the price charged? As stated above, our charges are based on our artists’ time, so to the extent that the size, level of intricacy or placement area will have an effect on the time taken to complete the tattoo; then yes, these factors will have an impact on the cost. When you come for a free consultation, all these factors will be discussed with you. How do your charges compare to other Bangkok studios, and also studios around the world? We won’t deny that you can get a cheaper Tattoo in Thailand, as there are plenty of cut-price shops tattoo shops around. We welcome you to judge the quality for yourself. Take a look at our most recent work and see the quality of the work our artists are putting out. Always remember that as far as tattoos are concerned, you will most certainly get what you pay for. At ALL DAY Tattoo, you pay for the best. In Japan, charges can start at 12,000 Baht an hour, in Sweden from 6,000 Baht an hour and in the USA, prices will start from over 10,000 Baht ($300) an hour for a quality artist, with a similar cost in the UK. If you want to know more about our charges and talk to an expert about how much your preferred design may cost, why don’t you get in touch with our staff using the form or Facebook chat below – remember, there’s no obligation, so you’ve got nothing to lose! Our friendly staff will put you at ease and will be delighted to talk through the process, how long it might take, and the approximate cost.